How many of you are new to the whole “mobile design thing”? It’s okay. Many of us are. There are some simple ways to simplify the process more. For starters, just think of it as min-web design. 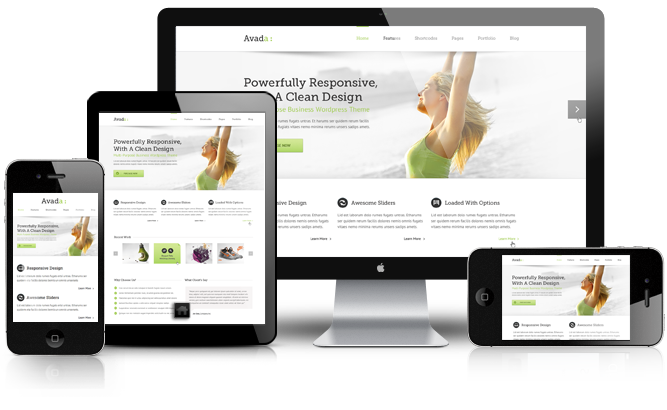 All you are doing is taking the traditional web design you have going and minimizing it. That’s it. That’s all there is to it. Still need some more context? That’s okay. We are all here to learn from this together. In this two-part content I will help you out with some simple tips. There are about eight here. There’s so much to go through that it has gotten divided into 8 tips. 1) You might want to start with a site that already exists. There are couple reasons why this is being suggested. How many sites do you have up and running right now? How many of them are mobile-friendly? Okay, now go to one of your non-mobile-friendly sites and look at it. Look through the site and execute a little trial and error. It’s very simple to take the web site and mobilize it. It’s just that many look for the right time. I have got news for all of you. There is no right time to make your sites mobile. You are only putting off a new project. This is also upsetting lots of your users who are looking to use your site on their mobile devices. Treat it like a new project and work on it. There are lots of tutorials online which can show you how to do it. Now, you might have to shut down the site temporarily, but it will be worth it. You need to inform your users first, then start your trial and error. Secondly, It’s best to do this with a new site. Why? it’s a new site. It’s not fully optimized yet. So, a little trial and error is expected right now. 2) Always treat your site as a “product that is never near full completion”. What do I mean by this? It’s simple. A true product or site is one that is constantly being looked over. It’s constantly going through some sort of evolution. Think of your site as your own character development. No matter how far you have come, there is always something to be done. There is always some sort of change that we need to undergo. If you think of your site as a “work in progress”, than the evolution of your mobile site won’t be so scary. 3) It’s never good to jump into anything too quickly. The always say jump first, ask questions later. This is never a good suggestion when it comes to a site or mobile site development. Always take your time with your process. You have two options here. You can either start from scratch, which is what many of them do. You can also begin with an existing site, like I suggested above. “Don’t wait around for the perfect mobile project. Use what you have now and go with it”. Over the last decade, advertising small businesses on the world wide web has become quite competitive. As such, you'll need to take full advantage of marketing options that assist in driving traffic to your website. In addition, you'd need to have your website set up in such a way that it can be viewed from varying devices, considering that we're always on the go! 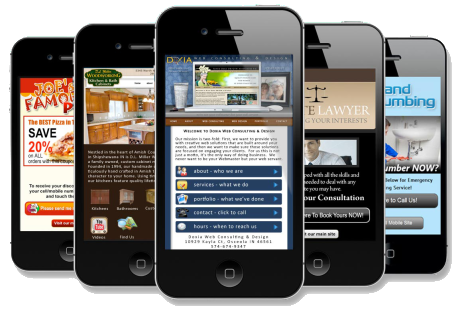 Our website focuses on the creation of a mobile website design and the benefits it offers your business. For further details, kindly contact us: info@listsdirectory.net.